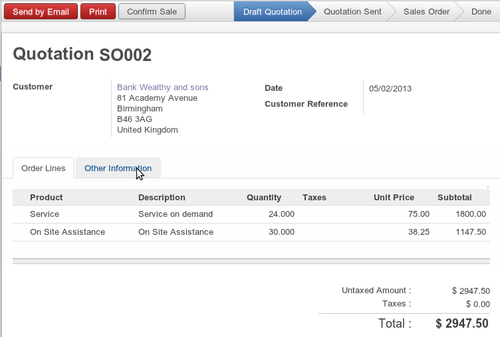 The Sales Module is a comprehensive software that allows you to manage all your sales activities. Effectively track your sales, optimize your sales opportunity, automate your sales processes, improve your sales efficiency and attain business profitability with the sales module. You can manage the complete sales order process from quotation to customer order, manage deliveries and invoicing, manage carriers, margin control and reporting, do price management and handle various types of sales discount campaigns and much more in Sales Module. Established in the year 2016 atAhmedabad (Gujarat, India), we “Tech Ultra Solutions” are engaged in Wholesale Trader and Retaileran excellent quality range of CRM software, ERP Software development, Mobile Application development, ERP integration and mobile technologies, etc. We are a Sole Proprietorship firmand we sourceproducts from the reliable market vendors, which can be availed from us at reasonable prices. Under the guidance of “Mr.Kazim Mirza” (Proprietor), whoholds profound knowledge and experience in this domain.